http://www.albanyths.org - Dedicated to the rich cultural heritage of Albany Township, Berks County, Pennsylvania. http://www.americanfolklifeinstitute.org - Dedicated to researching American folk culture among the Pennsylvania Dutch people of southeastern, Pennsylvania. Our institute records their architecture, antiques, craftsmanship, customs, and religious folklife. Our Folklife staff records changes in this 17th and 18th century born early American culture, as modern assimilation infiltrates the Pennsylvania Dutch way of life. www.berksweb.com/histsoc - To collect, preserve, and foster an appreciation for the historically important physical culture of our country, and further, it is to promote in present-day citizens of all ages an interest and knowledge of past area events, people and cultural heritage in order to instill a sense of pride in local history which may act as a foundation for future successes. www.boehmschapel.org- Oldest existing structure built for Methodist use in Pennsylvania. www.cocalicovalleyhs.org - We are dedicated to acquiring, preserving, and interpreting material pertaining to the heritage of the Northern Lancaster County community known as the Cocalico Valley and making this material accessible to the public. The Cocalico Valley is defined as the townships of East and West Cocalico, Clay, Ephrata, West Earl and a portion of Earl. This includes the boroughs of Akron, Adamstown, Denver and Ephrata, Pennsylvania. www.ephratacloister.org- 18th Century German religious community with outstanding arts and architecture. http://www.goschenhoppen.org - Goschenhoppen Historians, Inc., was founded in 1964 in order to preserve the folk culture of the area's earliest immigrant settlers, known as the Pennsylvania Germans. www.hansherr.org - The 1719 Hans Herr House, built in that year by Hans’ son Christian, is the oldest surviving dwelling place of European settlers in what is now Lancaster County, Pennsylvania. www.lancasterheritage.com - The Heritage Center of Lancaster County operates two museums. The Lancaster Cultural History Museum collects, preserves and interprets Lancaster County's history and decorative arts through its permanent collection, annual exhibitions and education programs. The Lancaster Quilt & Textile Museum includes the finest collection of authentic 18th through 20th century Amish quilts, decorative needlework, clothing and other textile arts all indigenous to this region. The hallmark of this, Lancaster's newest museum, is the famed Esprit Quilt Collection. www.hsimuseum.org - Founded in 1966, Historic Schaefferstown, Inc. is a non-profit, educational organization dedicated to the culture and unique history of Schaefferstown and southeastern region of Lebanon County, PA.
www.hsp.org - We invite you to explore the origins and diversity of Pennsylvania and the United States, from the colonial period and the nation's founding to the experience of contemporary life. Conduct research in the online catalogs, browse our exhibits and publications, and join us in preserving and understanding our heritage as a diverse and dynamic people. www.trappehistoricalsociety.org - The Historical Society of Trappe, Collegeville, Perkiomen Valley which was founded in 1964 as a non-profit educational society to: encourage local historical research and publication of the results, promote historical activities in the community, and encourage the preservation of historic sites. As part of that mission the Society has restored the Henry Melchior Muhlenberg House. The House tells the story of Henry Muhlenberg who settled in Trappe Pennsylvania in 1742 to preach to and support the German community and to communicate to the Lutheran elders in Germany the development and growth of the Lutheran Church in America. Here at the site of his retirement, Muhlenberg would hold his community together during the American Revolution and see his sons Peter and Frederick help build a new nation. The Society’s headquarters is located in the Dewees Museum, located at the intersection of Main Street and Route 113 in the center of Trappe. Constructed between 1740 and 1750, it was a tavern for many years and served as a stagecoach stop, a polling place, a local court, and was the scene of local rallies for presidential campaigns. Ongoing and special exhibits emphasize the heritage of the area, often with lectures that provide insight and depth. Visit us at www.trappehistoricalsociety.org for up-to-date information on our many activiities and get to meet some of the folks who make it all happen. http://www.kutztownhistory.org - Dedicated to preserving and recording the history of the Kutztown area. Kutztown Pennsylvania German Festival Kutztown, PA P.O. Box 306 Ephrata, PA 19522 888-674-6136 http://www.kutztownfestival.com/ dave@kutztownfestival.com - Folklife, farming and gardening, churches and weddings, PA-Dutch dialect and folklore, spinning and weaving, country cooks, blacksmiths, furniture, candles, and more... Mouthwatering PA-Dutch Food! Tantalizing family style feasts, ox roasts, sausage sandwiches, pies, pastries and lots more! Non-stop entertainment. Live music and dancing, comedy, country auctions, parades and bands. Fiddling, storytelling and historical seminars and traditions.Witness a 19th century hanging or take part in an old-fashioned cake walk. The best examples of Pennsylvania Dutch and early American folk art and crafts are found in the outstanding works of 200 of the nation’s most skilled artisans. Included in the 2008 festival will be fine furniture, miniatures, pottery,clothing, musical instruments, hand-painted art, iron ornaments, weavings, brooms, baskets, florals, hex painting, jewelry, leather, cut paper art known as “scherenschnitte,” Pennsylvania German calligraphic writing called "fraktur", beeswax candles and more. www.lmhs.org - To educate and inspire Mennonite families and congregations and the broader community through promotion of the history, beliefs, and lifestyle of the Anabaptist-Mennonite tradition. 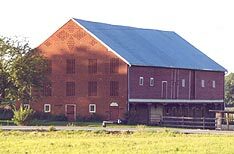 http://www.landisvalleymuseum.org - The Landis Valley Farm Museum: Outdoor Museum Complex. www.lehighcountyhistoricalsociety.org -Lehigh County has 10,000 years of human history and millions of stories: tales of the first hunters and the first farmers; the enduring Pennsylvania Germans; the passions of the Revolution; the toil of immigrants in the mills; the hustle of city streets; floods, fires, massacres; potatoes and silicon chips. There is a whole world in Lehigh County history for you to explore through our library, museum, historic sites, and artifact collections! Lower Macungie Township Historical Society PO Box 3722, Wescosville, PA 18106 Email: LMTHS@macungie.org. The Lower Macungie Historical Society's Headquarters is at the Lower Macungie Township Building on Brookside Road, Macungie, Pennsylvania. It is open during Society meetings and by appointment only. The history of Lower Macungie Township, in western Lehigh County, is being preserved today by a group of dedicated local residents who have seen much of the traditional township landscape disappear in recent years. We can still see many barns and old stone homes, often beautifully restored to suit our modern way of life. But the farmsteads themselves are in most cases no longer active, and housing developments have taken over much of the farmland. The Lower Macungie Township Historical Society was formed in 1989, initially to save a log house built in about 1790 from demolition. The log house, in the village of Wescosville along busy Route 222, a former King's Highway, was moved a hundred yards west into a township park, where it is being maintained by the society. Plans are to restore the interior as funds become available. The society is developing an Historic Structures Inventory and conducts a public lecture series on local history in conjunction with the Macungie Historical Society and Kalmbach Memorial Park. The Macungie Institute, home of the Macungie Historical Society, is located at 510 East Main Street (PA Route 100) in Macungie, one block south of the traffic light at the Chestnut Street intersection. http://csumc.wisc.edu/mki/ - Devoted to the study of the German-American experience. University of Wisconsin-Madison. http://mhep.org - Online home of the Mennonite Historians of Eastern Pennsylvania and the Mennonite Heritage Center. http://rootsweb.com/~usmags/ - The Mid-Atlantic Germanic Society was founded to stimulate and facilitate research on Germanic ancestors who settled in the mid-Atlantic region. www.montcopa.org/historicsites/ - Explore the historic sites to experience the history of Montgomery County. www.berksmuseums.com - The member organizations of the Berks County Museum Council invite you to explore an incredibly wide range of historical sites and sources. You'll find technology, art, and the unique history of the people and places of this diverse area, all in the beautiful and historic setting of Berks County, Pennsylvania. Oley Valley Pennsylvania Dutch Club - Our Pennsylvania German Club meets in the Oley High School (17 Jefferson St Oley, PA 19547) Rm 123 first and third Mondays of the month at 7 p.m. We sing PA Dutch songs, talk PA Dutch, play games in the dialect, learn about the history of our people, talk over current events, have parties, and we write and translate and perform skits for the Oley Daal fersammling. We plan community activities such as "Dutch Day" at the Oley Fair, Colonial Days for the Elementary School, choral concerts at nursing homes, and a Dutch Summer school course for school children. We have a spring field trip and a summer picnic. Some of us are native speakers, others are learners. Some are "young", others less so. Some come as couples, other's don't. Some talk alot, some listen alot. Some are very involved, others appear when their schedules permit. Everyone feels included. Kumm fer en gutte Zeit. Date for 2008: Jan 7 & 21, Feb. 4, Mar 3, April 7 & 21, May 5 & 19. Pastorius House The Pastorius Home Association, Inc. PO Box 66 Germansville, PA 18053 (610) 767-6981; (610) 264-3373 (Fax); Email: Berti4953@aol.com website:http://www.pastoriushaus.org The Pastorius Home Association, Inc. seeks to preserve the German language, heritage, and culture in America, to promote American history and culture among Germans, to operate the Pastorius Haus (Germany) and the Pastorius Center (USA), and encourage friendship between Americans and Germans through student and adult education, exchanges, travel, and tours. Hanover Avenue, Allentown. The gatherings are free and open to the public. Various aspects of the heritage and dialect of the Pennsylvania Dutch people in the Lehigh Valley are highlighted. The ability to converse in the dialect is not necessary, although some familiarity is helpful. For further information, call 610-264-2979.
http://www.kutztown.edu/community/pgchc -The Pennsylvania German Cultural Heritage Center at Kutztown University is a place, a museum, and a year-round program. The Center represents the commitment of Kutztown University to the preservation of Pennsylvania German ("Pennsylvania Dutch") history, folkore, and traditions. www.philamuseum.org - Web site for the Philadelphia Museum of Art. The mission of Save the Speaker's House, Inc. is to restore, preserve, and interpret the home of Frederick Augustus Muhlenberg, first and third Speaker of the U.S. House, and to promote an understanding of leadership and American history and culture through research and educational programming. Our goal is to establish a living history museum that is free and open to the public. Visitors will have the opportunity to learn about the Revolutionary War period, early American government, and the contributions of Frederick Muhlenberg to his country. A visitor center is also planned complete with space for exhibitions, a research library, and a meeting area to hold public workshops and lectures on history, leadership, and other topics. www.schwenkfelder.com- A non-profit organization dedicated to preserving and interpreting the history of the Schwenkfelders AND the history of the Upper Perkiomen Valley region. www.statemuseumpa.org - The State Museum of Pennsylvania covers all aspects of Pennsylvania history and holds significant collections, that relate to some of America’s most seminal, well-known events as well as important, historical individuals. Situated next to the State Capitol building, The State Museum is a mecca for 315,000 schoolchildren and adults who visit annually, seeking history and culture. www.ulib.iupui.edu/kade/sgasin.html - SGAS was established in 1968 as an international professional association of individuals and institutions interested in the field of German-American studies. It is registered in the State of Ohio as a non-profit organization. www.yorkheritage.org - York County Heritage Trust is an educational institution that uses its collections, historic sites, and documentary resources to inspire people to explore the history and culture of York County Pennsylvania. www.VBMHC.org -The mission of the Heritage Center is to share and celebrate the story of Jesus Christ as it has been reflected in the lives of the Mennonites and Brethren in the Shenandoah Valley. www.winterthur.org - Winterthur, an American country estate, is the former home of Henry Francis du Pont (1880-1969), an avid antiques collector and horticulturist. In the early 20th century, H. F. du Pont and his father, Henry Algernon du Pont, designed Winterthur in the spirit of 18th- and19th-century European country houses. www.bundesregierung.de - News, Magazines, and other Direct Links to Germany. Accessible in German, English, French and Spanish. www.hiwwe-wie-driwwe.de - Ebbes in de Mudderschprooch. http://www.explorepahistory.com/ExplorePAHistory/home.do? - Your gateway to Pennsylvania past and present. http://www.frakturweb.org/ -This collection of resources is devoted to the Pennsylvania German folk art form called "fraktur." It features two research projects: an inventory of fraktur artists identified in the secondary literature and a bibliography of published resources on fraktur. http://www.germancorner.com/ - U.S. Population Statistics Looking at German Ancestry in the U.S. 1990 Census. http://www.onceuponahex.com/ - A website devoted to the spirituality and magic of the Pennsylvania Germans. http://pagstones.com - Website dedicated to research on Pennsylvania German tombstones. www.gafsociety.com-The purpose of the G.A.F. Society is to create and promote a better understanding of German and Swiss Cultural Activities and to establish a German-Swiss-American Cultural Center. www.rbcrafts.org - We are a non-profit organization, whose activities are supported entirely by volunteer members.